I want to celebrate the day of love, as they use to call it, sharing with you this fragment of the Androgynous Myth, narrated by the Greek author Plato in the Symposium. I chose it also because it’s the origin of the idea of love as the join of two parts as well as two half of an apple, which is a very romantic image. I hope that you could find your half and enjoy the Valentine’s day together! … Oh! 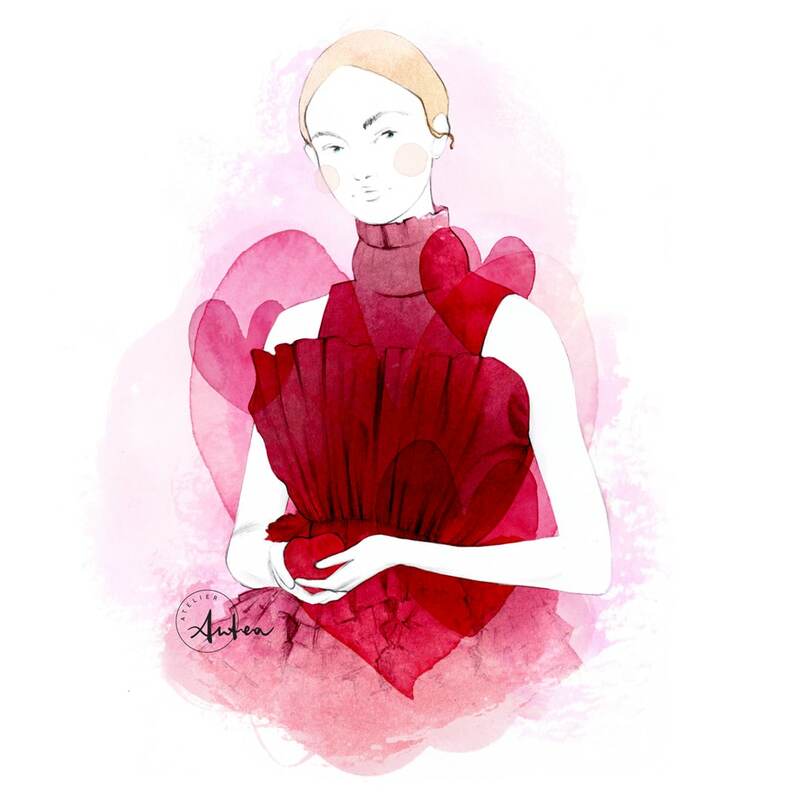 And for those of you who has not recognised it yet, this Valentine girl is wearing a Danny Reinke scarlet dress from the Fall/Winter 2017 collection.